The next generation Nokia Asha, Nokia Asha 501 Dual SIM variant is now available in Indonesia with official price is IDR 925.000. Available on Red, Cyan, Yellow, Black, White and Green. Nokia Asha 501 Dual SIM is not yet launched in Indonesia, but already sold in several store together with the official colorful Shell (Nokia CC-3070 Shell for Nokia Asha 501). 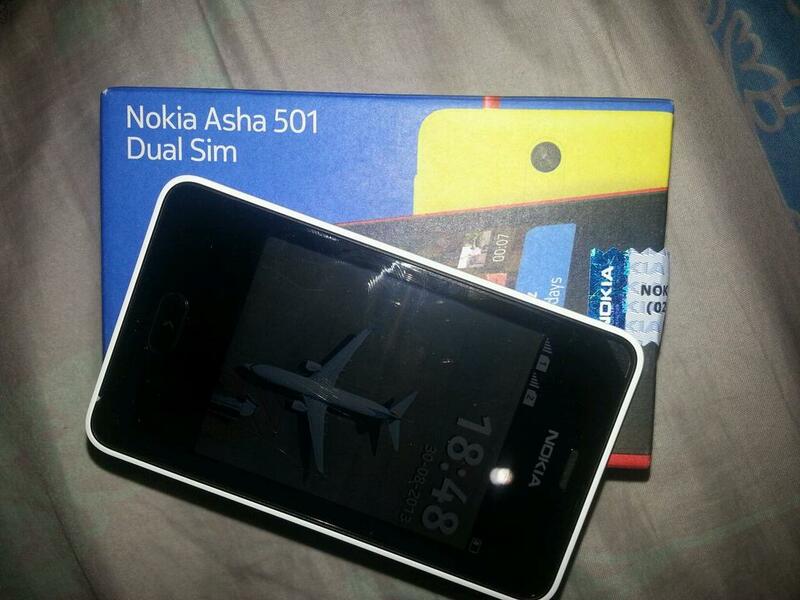 One of our follower on twitter, Ahmad Munadi said that he already bought Nokia Asha 501 Dual SIM variant this week at Erafone Store. Our friend, @wibinov also said that Nokia Store Bekasi already sold Nokia Asha 501 Dual SIM with official price is IDR 925.000. There are also available colorful shells for Nokia Asha 501. Interesting to buy a Nokia Asha 501 Dual SIM? You can now start to find the nearest Nokia Store or other Store like Erafone, Sentraponsel, etc.